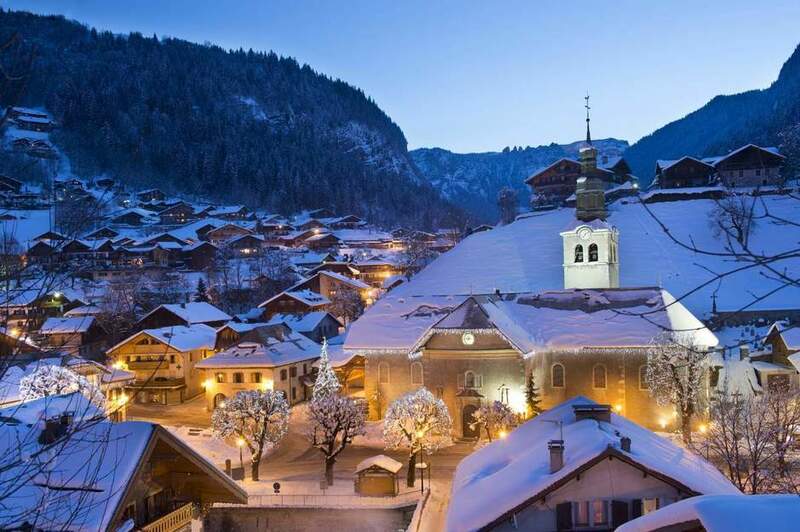 Alpine French School in the French Alps is a unique language school offering quality French classes combined with amazing activities! Why not learn French and at the same time try Skiing/Snowboarding/Mountain Biking/Climbing/Other adventure activities. We also offer a wide range of other French Courses. See our website for more info, videos, photos and pricing. Quality French classes: fun interactive French classes taught by native speakers in a relaxed environment. Established school: since 2003 our dynamic team have been offering quality French courses with a difference! Choice of accommodation: host families, apartments, residences and hotels available. Choice of activities: Skiing, snowboarding, mountain biking, climbing, watersports and many more adventure activities. Immersion in the town: with our innovative partnership scheme with the local community. Social/cultural activity programme: to complete your experience! The main aim of our Intensive French courses is for students to improve their speaking and listening skills in a short period. By taking an intensive French course, you will see a real improvement in your level of French very quickly which is also most rewarding. It is the perfect boost to start your language learning or to step up your level in a limited time period. -Access to our social/cultural Activity Programme at no extra charge! This super-intensive French program allows you to improve your General French level with our Standard Intensive French course. You can then focus on improving specific skills with 5 French Skills Workshops of your choice from our timetable. Also included in this package are our cultural activities for which a program is published at the start of each month and you can choose any activities that are of interest to you. Most of the activities are free of charge, but for some there is a small fee of no more than 10€ payable at our reception. All of our Alpine French School students also get unlimited access to our online multimedia centre for the duration of their course with us. -Access to our social/cultural Activity Programme for no extra charge! This super-intensive French program allows you to improve your General French level with our Standard Intensive French course. You also take 5 x 45-minute private lessons allowing you to focus on your specific needs and objectives with some tailor-made lessons. Also included in this package are our cultural activities for which a program is published at the start of each month and you can choose any activities that are of interest to you. Most of the activities are free of charge, but for some there is a small fee of no more than 10€ payable at our reception. All of our Alpine French School students also get unlimited access to our online multimedia centre for the duration of their course with us. This super-intensive French program allows you to improve your General French level with our Standard Intensive French course. You also take 5 x 45-minute private lessons allowing you to focus on your personalised needs and objectives with some tailor-made lessons PLUS 5 x French Skills Workshops of your choice to work on specific skills as required. Also included in this package are our cultural activities for which a program is published at the start of each month and you can choose any activities that are of interest to you. Most of the activities are free of charge, but for some there is a small fee of no more than 10€ payable at our reception. All of our Alpine French School students also get unlimited access to our online multimedia centre for the duration of their course with us. My 2 children (9 and 6) attended in the summer of 2017 and had a fantastic time and experience - both the lessons and afternoon activities. Very friendly and inclusive environment with a clever way of teaching. Have rebooked for summer 2018. I booked this course for my 2 boys, 10 and 13, to learn French for 2 weeks in August 2015. They complained that food was very poor - mainly pasta and potatoes every day for 2 weeks, no meet, no local french food. Teaching was very laid back. Teachers themselves were unengaged and uninterested in students. Despite consent-forms which I completed at the beginning, my children were not allowed to visit the town themselves, so they literally stayed in the camp all two weeks with an exception of a couple of tours. Mountain biking was not safe guarded, in the UK such attitude to the safety would not be allowed. The whole experience was disappointing. A great course - particularly good for practising and improving oral skills. I have attended the intensive week courses , twice now, they are great for really putting some time into learning. There's lots of time to chat and ask questions. Everyone is really friendly too.. The course and teacher have been fantastic. My only problem is the course is in the middle of the a busy part of the season for me. I do not have quite as much time as I would like for the homework. Excellent couse , it has filled in a lot of holes. Avant le cours, e n'osais pas à parler le français. Le cours m'aidait pour gagner plus de confiance. j'ai rafraichi la grammaire et appris l'utililiser dans une conversation. 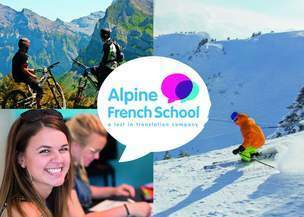 I have, so far, taken 30 private French lessons with Alpine French school and have been incredibly impressed with the teaching, the organisation, and with the general helpfulness. Having never studied French at school, I started my lessons as a total beginner. Lucile, my teacher, planned lessons to meet my specific needs, used a range of activities to ensure my understanding, and was incredibly kind. Having taken these lessons, I can now handle most of the day-to-day situations in which I find myself while living in France, and my confidence in more complex conversational skills is growing. I cannot recommend Alpine French School highly enough. I have been attending courses here for several years, they are extremely helpful and happy to prepare and teach lessons around my requirements. I have attended summer weekly courses, private lessons and their intensive courses and have found them very useful. Very friendly and helpful teachers.